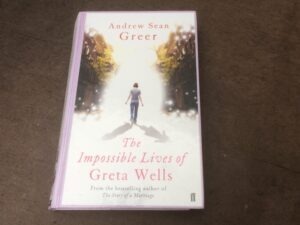 I’m pleased whenever a book touches me to the core of my being and THE IMPOSSIBLE LIVES OF GRETA WELLS by Andrew Sean Greer has done it this time. Probable, unexpected and finally in tears, I had to reflect on the impact of love on the soul. A well-crafted journey through time that left me pondering about what’s there beyond what we know. Like a wise man once said, ‘what has been seen cannot be unseen’, so thank you, dear author, for this delicious twist on life.